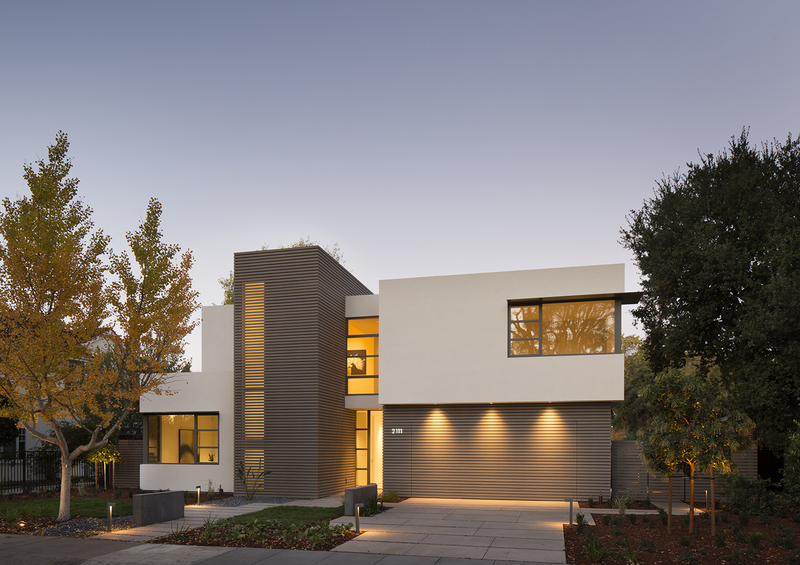 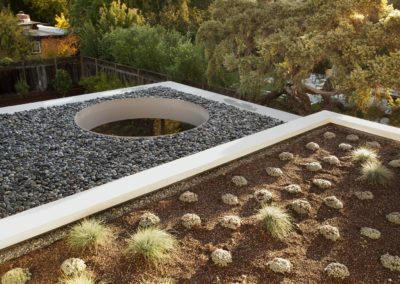 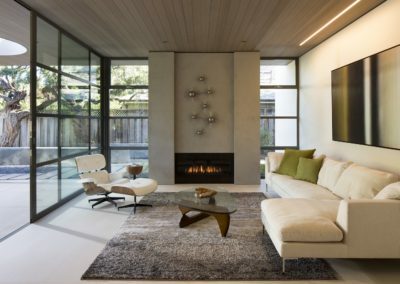 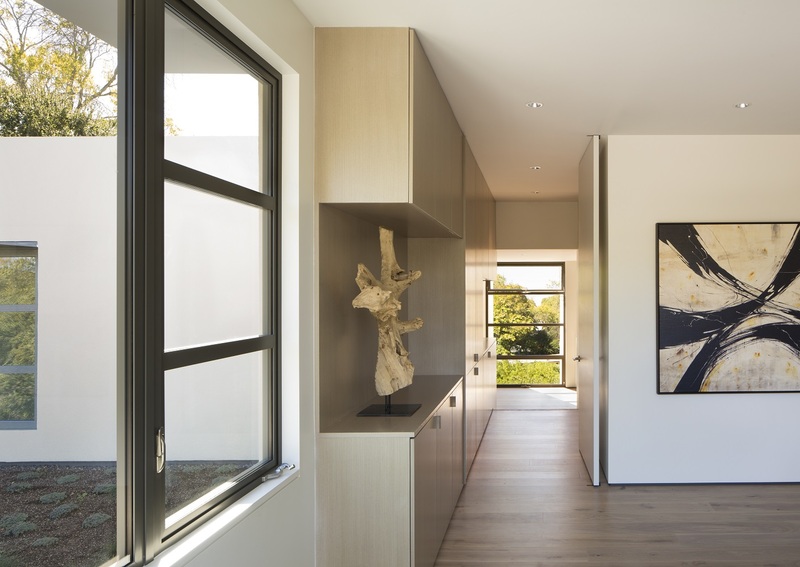 The Palo Alto Lantern House adds a new vision of modern living to the eclectic styles of its surrounding suburban neighbors. 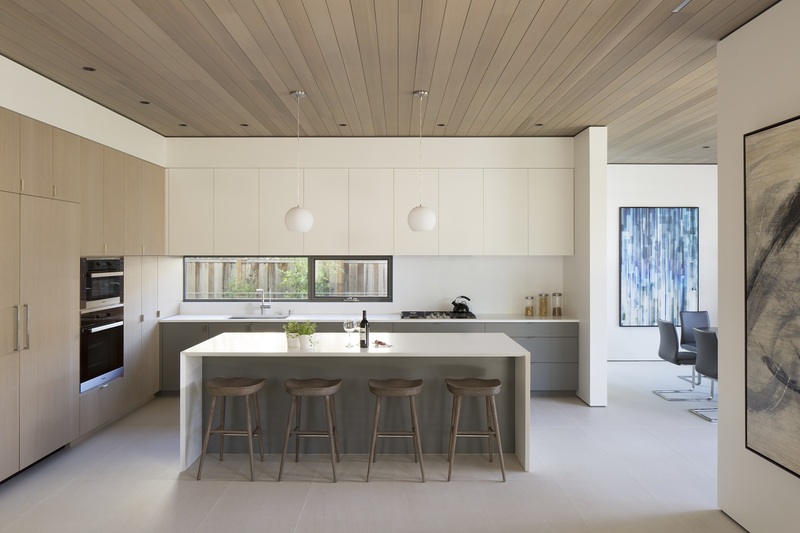 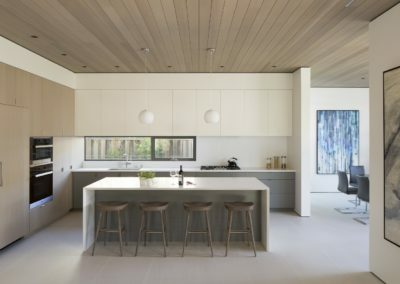 The house features an open plan of public spaces on the main level, all connected by a floating cedar ceiling that extends into the outdoor space. 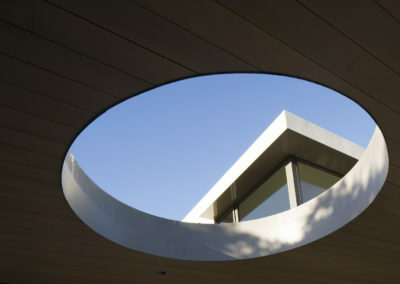 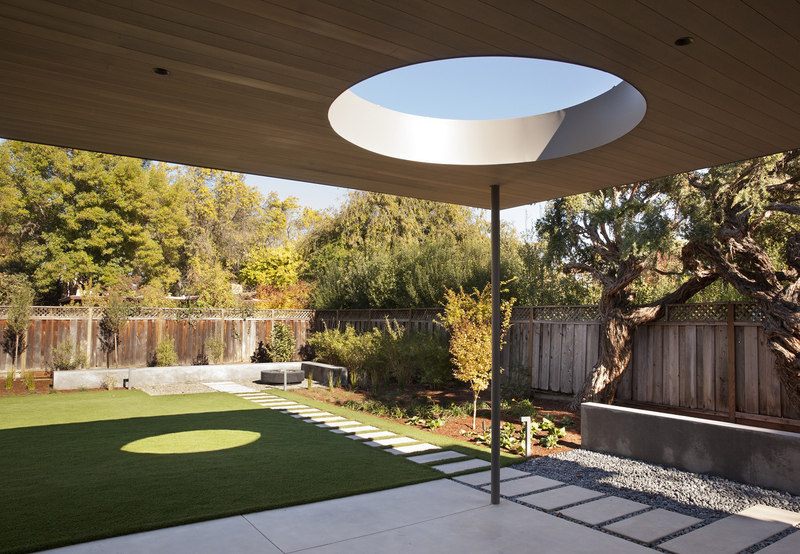 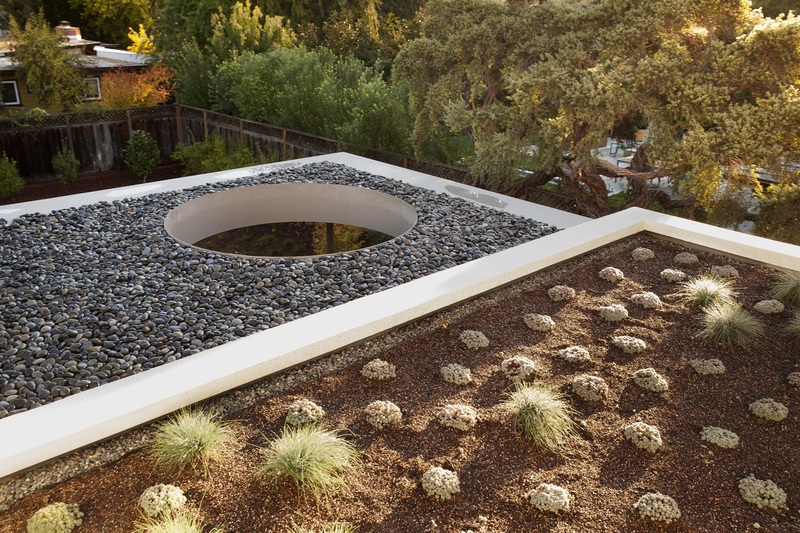 A playful circular opening in the cedar ceiling creates a view of the sky while filtering geometric patterns of natural light that evolve over the course of the day onto the patio below. 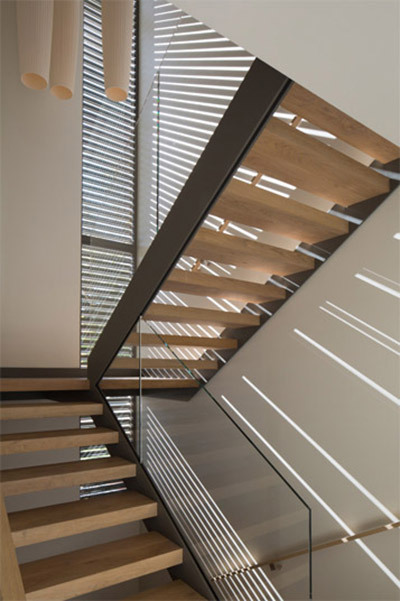 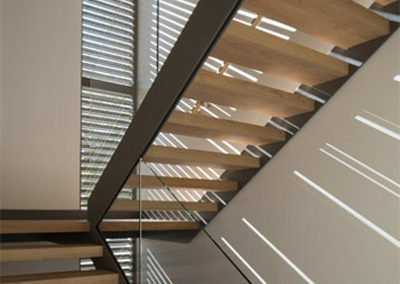 A slender vertical window shaded by a cedar rain screen runs the height of the front stairwell and casts rays of sunlight across walls during the day and, like a lantern lit from the inside, emits horizontal stripes of light at night. 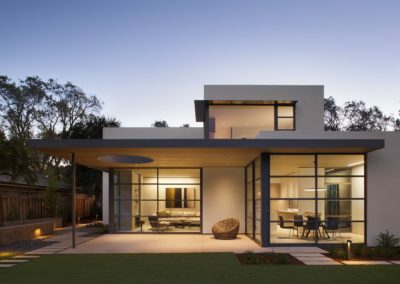 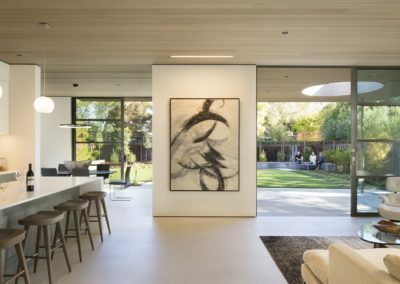 Large glass doors serve as seamless transitions between the house’s interior and its expansive rear yard, and steel eyebrows above its large bedroom windows shade the sun in its brightest hours. 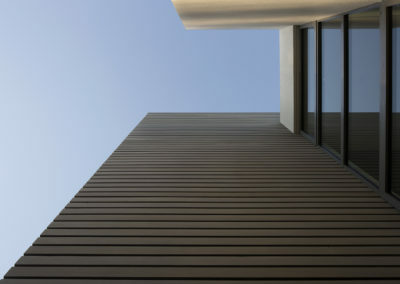 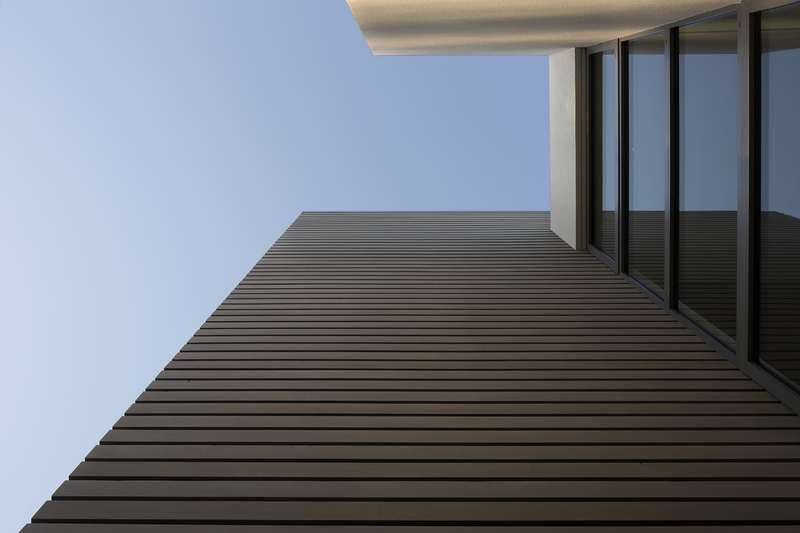 A cedar screen wraps the base of the building, and a stair tower vertically links the orthogonal forms of the house’s façade and interior spaces. Above, each second-floor bedroom offers a view of the surrounding canopy of gingko trees and green roofs on the living and dining spaces below.